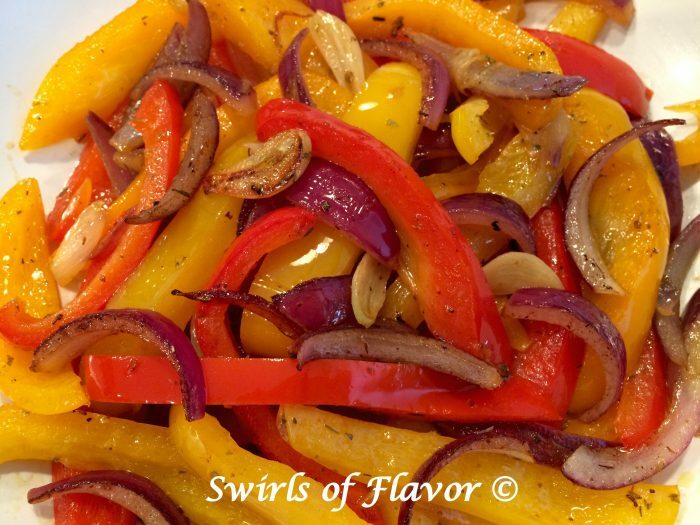 Buttery Sautéed Peppers & Onions are the perfect accompaniment to any dinnertime menu and they cook up in just minutes! 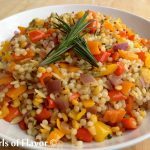 An easy side dish that is both delicious and bursting with beautiful colors, these caramelized peppers and onions will be the perfect side kick to many meals. Buttery Sautéed Peppers & Onions are the perfect accompaniment to any dinnertime menu and they cook up in just minutes! 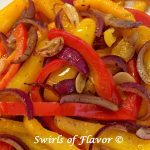 An easy side dish that is both delicious and bursting with beautiful colors, these caramelized peppers and onions will be the perfect addition to many meals. Bell peppers, a member of the night shade family of plants, contain an impressive amount of vitamin C, along with vitamins A and K, thiamin, niacin, folate, copper and magnesium. Red, orange and yellow bell peppers are much sweeter than green bell peppers which tend to be bitter, so I used only the sweeter bell peppers for this fabulously delicious side dish. 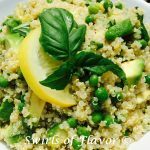 Sauteed in a combination of olive oil and butter and finished off with a bit more butter, you’ll love having this recipe in your menu lineup. 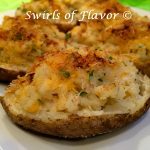 You can never have enough side dish recipes and you will definitely be happy to include these new side dishes on your dinner table. 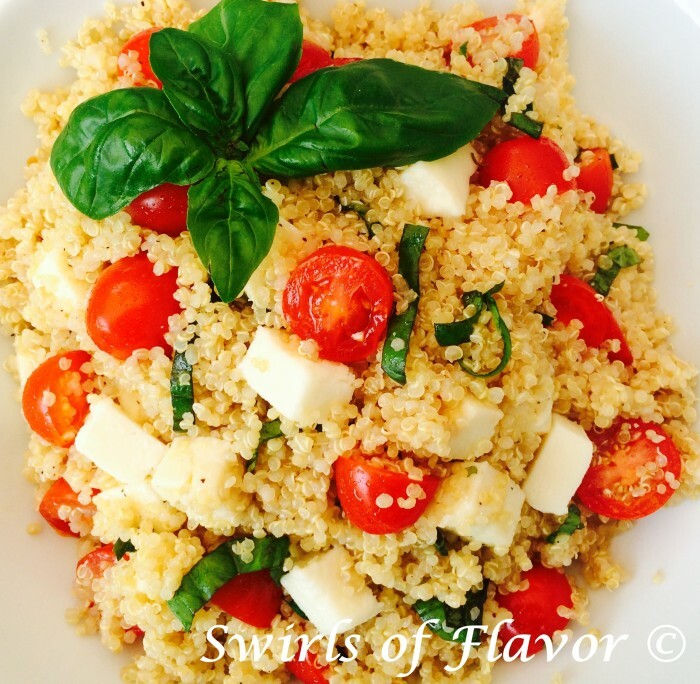 A side dish of Quinoa Caprese combines quinoa, the oh-so popular super food, and those flavors of tomato, basil and mozzarella, known as “Caprese” for your new favorite dish brimming with summertime flavor. 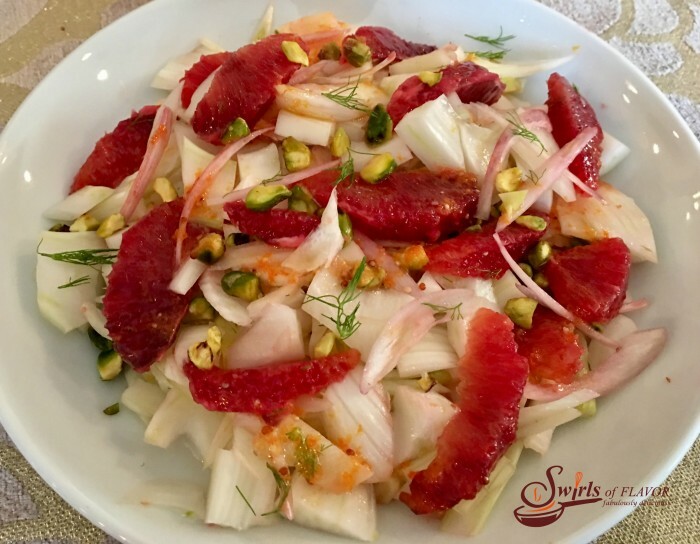 The crunch of fresh fennel, the juiciness of mandarin oranges and the crispness of radishes all come together in a lime-kissed vinaigrette to make Fresh Fennel & Mandarin Salad an amazing combination of flavors and textures. 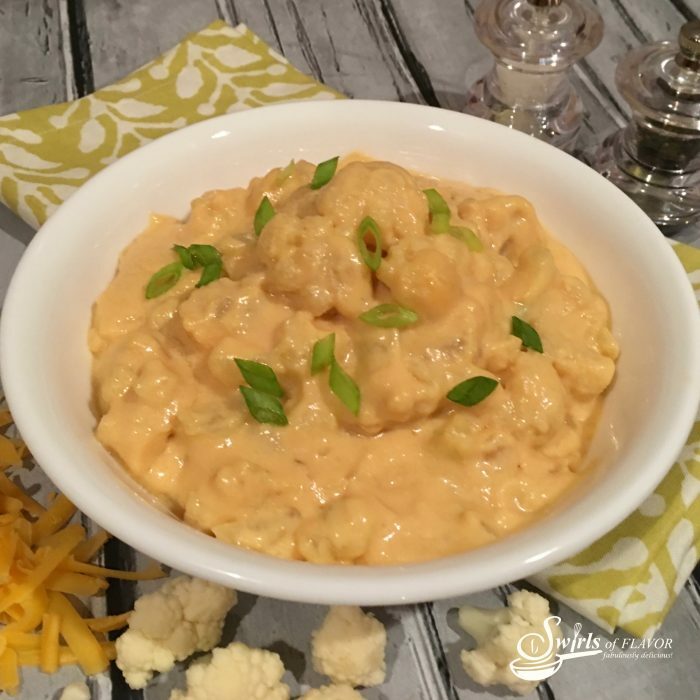 Surrounded by a creamy cheddar sauce, every spoonful of cauliflower in Cauliflower Mac ‘N Cheese is bursting with cheesy goodness! Trust me, you won’t miss the pasta! 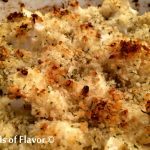 Serve as a side dish or a main dish, the choice is yours. Melt olive oil and 1 Tablespoon butter in large non-stick skillet over medium-high heat. 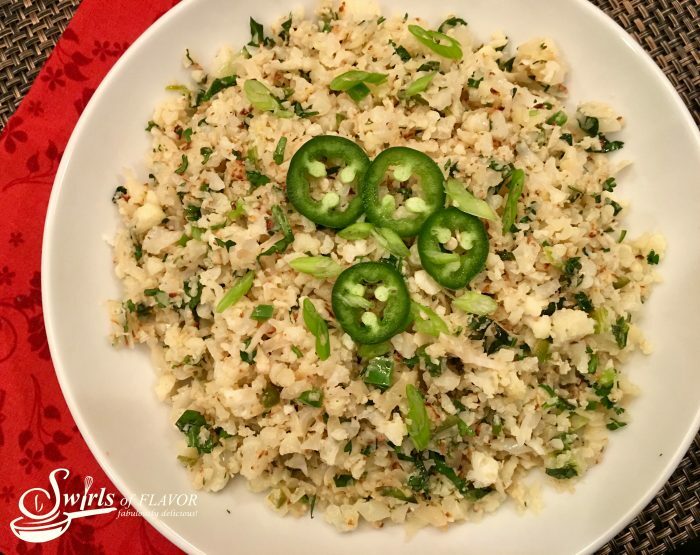 Cook peppers, onion, garlic, basil, kosher salt and pepper until tender-crisp, 10-12 minutes, stirring occasionally. 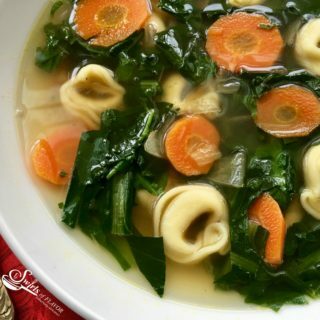 Stir in remaining 1 Tablespoon butter and serve.